Riviera Maya & Cozumel, Q.Roo, Mexico – Pro Dive Mexico, a PADI 5-Star Gold Palm Resort founded in 2003 and one of the most established and recognized IDC Centers in Latin America, located at several 4-5* Resorts along the Riviera Maya and in Cozumel, celebrate their “SPECIALTY OF THE MONTH OF JULY” – PEAK PERFORMANCE BUOYANCY! Neutral buoyancy is the most important skill you can master as a diver so you neither sink nor float, glide effortlessly, use less air and ascend, descend or hover, almost as if by thought to interact gently with the aquatic life and affect your surroundings minimally. The PADI PEAK PERFORMANCE BUOYANCY course refines the basic skills you already learned as a PADI Open Water Diver and elevates you to the next level and also highly benefits your preparations for a PADI Cavern or Wreck Specialty up to professional levels of a Dive Master or Instructor. 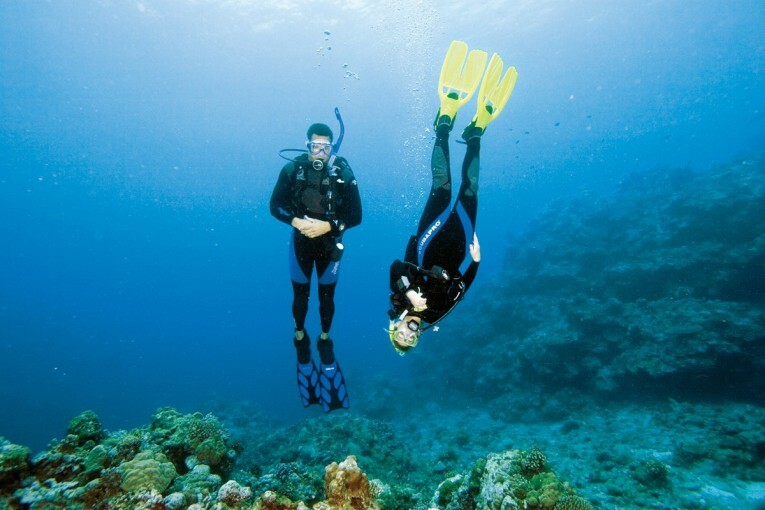 The instruction and tips you will get over the two specialty dives will allow you to continue to improve your buoyancy skills on every dive afterwards. Even those divers with hundreds of dives can see the benefit from taking the time to really focus on their buoyancy skills during this course and see where adjustment is required. Once you have mastered your buoyancy control, what better way to put those skills into practice, than to take the PADI Cavern Diver course? The cavern zone is an overhead environment in the light zone of a cave – the area near the cave entrance where natural light is always visible, and we are spoilt for choice in the Riviera Maya for beautiful cavern sites with crystal clear water. In this challenging and exciting course you will learn about the procedures, techniques and equipment used in Cavern diving, as well as emergency procedures. With cavern sites, the amazing visibility can quickly turn to soup with one wrong fin kick to stir up the silt, so buoyancy control and proper finning techniques are vital. For those who are interested in going down the professional route, the PADI Divemaster course can be a real eye-opener. Pro Dive Mexico are the leading PADI Career Development Centre in this area, and their Divemaster programs are designed to give their candidates the best preparation for real life as PADI professionals. On occasion of the celebrations of PEAK PERFORMANCE BUOYANCY as specialty of the month of July, Pro Dive Mexico offers a discount of 10% on this course for couples including friends and partners, who book their IDC or Divemaster course until September, 30th 2014.